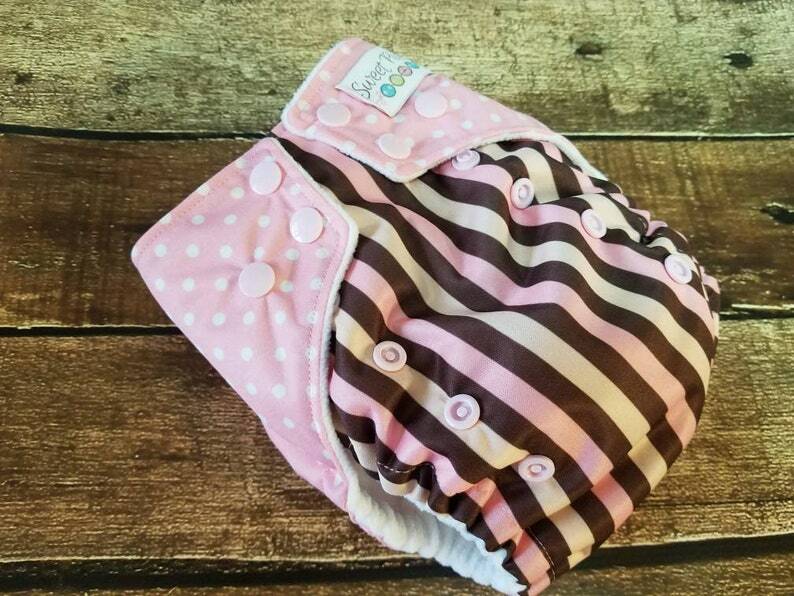 This one size all-in-two cloth diaper is made with polyester PUL outer in pink and brown pinstripes print, with a little deer on the bum. Foldable soaker is made from three layers organic cotton fleece. Three layer booster snaps in underneath main soaker to add extra absorbency, giving you 12 thirsty layers when folded for use. Polyresin snaps for closure. Our One Size soakers are designed to fit in any of our AI2 diapers, fitteds, and two-step covers.